Cleona has a degree in Sociology, Certificate in Management and over 20 years of sales, sales analysis and customer service experience. A few years ago after selling her family home, Cleona began thinking about making real estate a career. Real Estate is a perfect career for Cleona. She is self-motivated, hardworking and career focused. Not a day goes by that Cleona isn't happy that she has make the decision to follow her passion. She invests many hours perfecting her negotiation, presentation and selling skills. 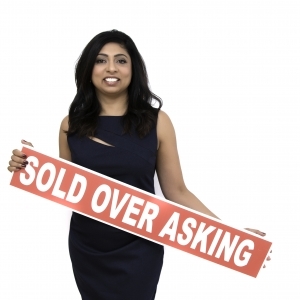 Cleona has earned her Brokers licence and is a Certified Negotation expert (CNE), Accredited Seniors Representative and is Certified Staging Professional. In addition, Cleona was awarded the Multi-Million Dollar Producer Award 2012, Master Sales Award 2013, Executive Club Award 2013 & 2014, the prestigious Platinum Club in 2015 and most recently 100% Club in 2016, 2017, 2018. Cleona is committed to her clients and works hard to make every sale as smooth as possible for all parties. Cleona assists buyers and sellers with honesty and respect. She specializes in all aspects of the Residential real estate market.